Wagner also warned that a second-term Wolf could go on to propose another multibillion-dollar tax increase with no notice. Pennsylvania Governor Tom Wolf, left; Republican gubernatorial candidate for Pennsylvania Scott Wagner, right. GOP gubernatorial candidate Scott Wagner on Monday criticized Democratic Gov. Tom Wolf for avoiding debates before the Nov. 6 election. Wagner said Wolf wants to avoid questions about his education and tax policies in a second term. Wagner also suggested that Wolf, if re-elected, could pull a repeat of the multibillion-dollar tax increase plan he rolled out in 2015. Meanwhile, Wagner insists Wolf wants to reshuffle some $6 billion in state aid to public schools that would result in funding cuts to 357 of Pennsylvania’s 500 school districts and increases to 143 others, if it were to take effect this school year. 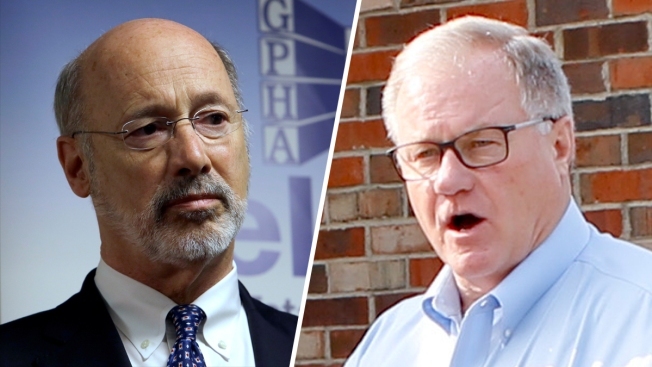 However, Wolf has called the claim absurd, while his campaign has pointed to Wagner’s past criticism of public school spending and teachers, as well as Wagner’s support for legislation that teachers’ unions and school boards oppose because it could divert state aid to private or parochial schools. In a statement, Wolf’s campaign said he would spend a second term “protecting the investments” from his first term, including increasing the number of children enrolled in prekindergarten, expanding career and technical education opportunities and science and math curriculum. In his first term, Wolf proposed billions of dollars in tax increases, a fraction of which the Republican-controlled Legislature ultimately approved, while he secured lawmakers’ approval of roughly half of the $2 billion in new education money he initially had set out as a first-term goal. In June, asked whether a second-term Wolf would need a budget-balancing tax increase, Wolf flatly said “no,” although he has pledged to continue his pursuit of a tax on Pennsylvania’s booming natural gas industry. Such a tax, which Wagner opposes, is politically popular and, according to the state’s Independent Fiscal Office, one that would largely be paid by out-of-state customers.